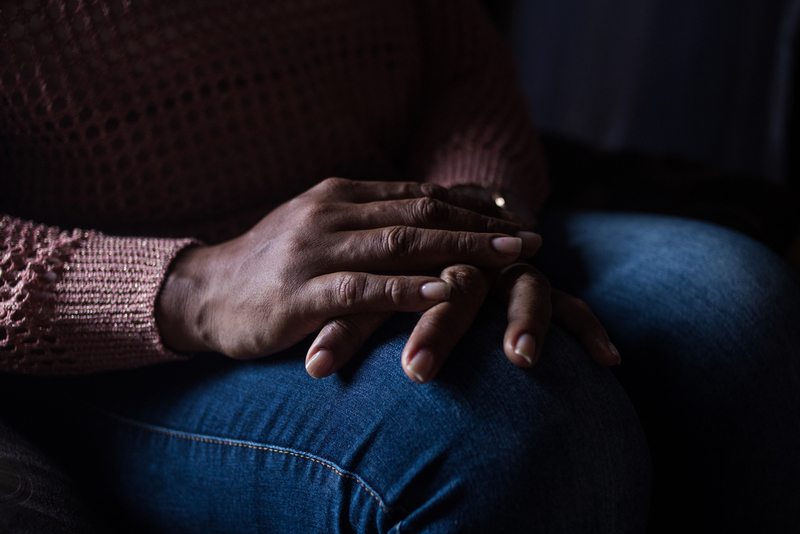 Monica Cuervo a psychologist working for Médecins Sans Frontières/Doctors Without Borders (MSF) in Buenaventura, Colombia, recounts the experiences of her patient Marlen, whose life and family were severely harmed by criminal gangs and their extortion. Marlen breaks down in tears, “I can’t take it anymore. I’m desperate. I want to die. I’m 38 years old and I haven’t done anything with my life. I don’t want to. I can’t carry on any more.” It’s my first time attending to Marlen as a psychologist at the MSF clinic. She is a strong woman, with very short hair and dark skin, and large eyes that are sad and worried. Marlen explains that her life is a great disappointment. She tells me how her desire to live has vanished. She no longer feels like eating or washing. She doesn’t want the night-time to arrive because it feels never-ending. She doesn’t want to work because she doesn’t have the strength. She doesn’t want to get herself ready. Her hair is falling out. She cooks without any desire to do so. She barely talks to anyone. During our conversations, we explored the story of her life. For Marlen, her family was everything. She says that her family fell apart some 20 years ago after they started receiving threats. They were being extorted by a criminal gang that demanded money in return for allowing them to work. But the family’s finances didn’t last long. They were working to pay the gang and they ended selling their house to survive. After being threatened and extorted, and forced to give up their home, Marlen and her family decided that her husband would go overseas to seek a better future. Marlen says, “Now that I think about it, the day he left was the worst day of my life.” It was the first time she thought that taking her own life would be her best way out. Her husband vanished, he never contacted them again. She was living in a place where she did not feel comfortable. She was pregnant and unemployed, with a small child to look after. She collapsed. She stopped eating and stopped doing the things she liked. She never went to her pregnancy check-ups, although she did think, what would happen to her children if she stopped looking after them? Time passed, and Marlen survived between feelings of anguish, abandonment and vulnerability. The graduation of her son from secondary school gave her back a tiny bit of hope. It showed that perhaps her efforts were not entirely in vain. But her son had to leave to study and Marlen relived the saddest day of her life, fearing that she would lose her son just as she lost her husband. We move forward with our sessions. Marlen realises that the dreams she used to have are materialising in other ways. Her son went to university and, rather than this being a reason to feel sad, she began to see this achievement as proof that she was a good mother who taught her son the importance of education. And it was she who had to pay the extortion fees to protect her family. She acknowledges that she still has a daughter who also needs her. MSF patient, survivor of sexual violence. File image. Little by little, Marlen starts to leave behind the suicidal thoughts she had. She feels less guilty. She begins to see how important she is and what she means to other people. Slowly, she reconnects with friends and family, people she can count on. We talk about her anger towards the people who stole her dreams away from her and those who, through their actions, forced her to decide things she didn’t want that meant her family had not been able to stay together. We talk about how sadness and pain are also part of feeling alive. She tells me how the distance apart from her son affected her, but at the same time she was very proud of him, and that she recently received congratulations at her daughter’s school for her academic excellence. Marlen is starting to sleep and eat better. She is no longer losing her hair and is looking for a job. MSF has been working in Colombia since 1985, providing health care in the most remote places of the country where access to health is not guaranteed or in those emergencies in which its presence may be necessary. In Buenaventura, MSF offers mental health care to victims of violence, and provides comprehensive care to survivors of sexual violence, including voluntary termination of pregnancy.